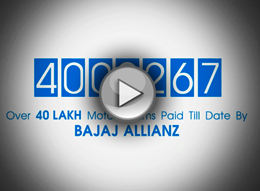 Why Bajaj Allianz Car Insurance? With a constant increase in the number of cars on the road, it gets very tough to protect your car from unwanted mishaps. High repair costs, coupled with the cost of spare parts, can definitely pinch your pockets, which is why it is essential to have a good Car Insurance or a Package Motor Insurance policy. 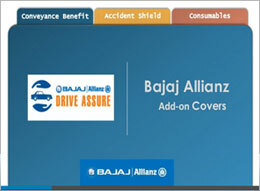 Bajaj Allianz offers car insurance with a range of covers to choose from. 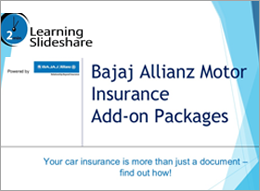 With Bajaj Allianz's innovative and all-round insurance plans and easy vehicle insurance renewals, you get covered with regards to all aspects that an ideal Car Insurance policy should have. On the basis of the plans you opt for, you secure yourself against road accidents, theft, among others along with which you can get cashless settlement at network garages and a lot more! You also get to choose add-on covers of your choice with your Car Insurance policy and with our 24x7 Roadside Assistance facility, help is just a phone call away. Note: This policy is applicable only for private cars. Fire, explosion, self-ignition or lightning, earthquake, flood, typhoon, hurricane, storm, tempest, inundation, cyclone, hailstorm, frost, landslide and rockslide. Protection against legal liability due to accidental damages caused to the surrounding property and/ or resulting in permanent injury or death of a person. A Motor Insurance/Car Insurance policy is only complete once it exceeds the satisfaction of providing security and peace of mind, which is why we have introduced add-on covers that will be of use any time you are in a crisis situation. This is a Pan-India cover for car insurance policyholders who need assistance while on the road. This includes providing service for emergencies such as repair of flat tyre, jump start for car battery, legal advice in case of an accident and many more. To know more about exclusions in our Car Insurance in India, please refer to the brochure in the tools section above. You would need to register a claim as soon as possible following the accident/theft of your car. You can do this online by visiting the page here or over the phone by dialing our Toll free number - 1800-209-5858, post which you will be connected to our customer care executive who will guide you through the entire Car Insurance claim process. Please note that in case of theft, you would need to file a police complaint as soon as possible, so that when you are registering a claim with us you are able to produce the same, along with the other documents. Whether your car is vandalized, meets with a collision, or gets damaged by some peril, you would need to take it to the garage, if it is in a movable condition, or have it towed there to avoid any further damage. You will have to submit the copies of all the required documents to the garage/dealer who is helping you with your Vehicle Insurance claim and get them verified with the originals. Following which, we will make the payment for the repair directly to the network garage once it is ready to be sent back to you. Do note that you will have to pay the excess amount according to the norms mentioned in your policy that include depreciation amount, salvage etc. which will be informed to you by our surveyor. Motor On The Spot (Motor OTS) is a mobile based motor insurance claim settlement service which empowers you to file claims upto Rs.20,000/-. You can self-inspect your car and receive the claim amount in your account in 20 minutes after filling all the necessary details through our mobile app - Insurance Wallet. If the loss is not so severe, we suggest that you avail the spot settlement of Car Insurance claims through Bajaj Allianz Motor OTS. It's very easy to navigate on the site. Kudos to Bajaj Allianz's UI/UX team for designing such a user friendly website. 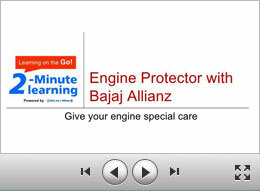 I love the simplicity of buying a car policy from Bajaj Allianz. 1. What does NCB stand for in car insurance? NCB stands for No Claim Bonus, which is a discount offered on the motor insurance premium to the insured at the time of renewal of their policy. The discount is applicable only if no claims were made during the previous policy period. 2. 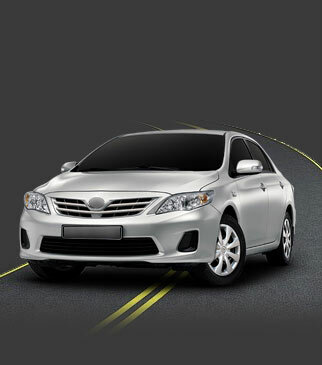 What benefits can one get by paying additional premium while purchasing car insurance? 3. What are the benefits of buying car insurance online? 4. Is my NCB transferable when I change my car or insurer? Yes, your NCB can be transferred even if you decide to change your car or your insurer. NCB solely depends on your claim-free record, which in turn shows how carefully you drive and maintain your car. Please note that NCB discount is applicable only on own damage premium and not third party insurance for cars. 5. What happens if my car insurance lapses? If your car insurance lapses you will have to produce the vehicle for inspection, after which the policy will be renewed. If you have earned an NCB and you do not renew your policy within 90 days of it lapsing, your NCB percentage will be reduced to zero. 6. What is a comprehensive car insurance policy? It is mandatory to have a third party liability insurance as per the rule set by the Govt. of India. 7. What is IDV in car insurance? IDV in car insurance is simply your car's current market value which is fixed on current/ ex showroom price - Deprecation value or Mutual understanding between the insured and the insurer for vehicles above 5 years or obsolete model. 8. What is zero depreciation or nil depreciation in car insurance? When a vehicle meets with an accident and the parts need to be replaced while repairing as per assessment, customer needs to bear the depreciation as per age of vehicle and material type. 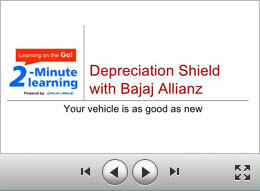 This depreciation is covered under nil depreciation or zero depreciation. 9. What is compulsory deductible in car insurance? Say you meet with an accident and insurance company liability (amount) of repair comes up to Rs 5000 for example, you will be required to pay some of the amount say 1000 or 2000 based on cc of your Car, as compulsory deductible or compulsory excess. 10. 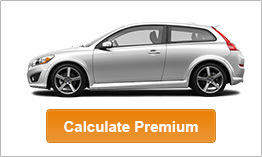 What is the period of car insurance policy? All insurance companies have to define a period for which the insurance cover is applicable. Both the policy start date and end date will be clearly mentioned on the policy document furnished by the insurance company. Insurance is valid within the start and end date. Post the end date, you will be required to renew the policy to enjoy further insurance cover.